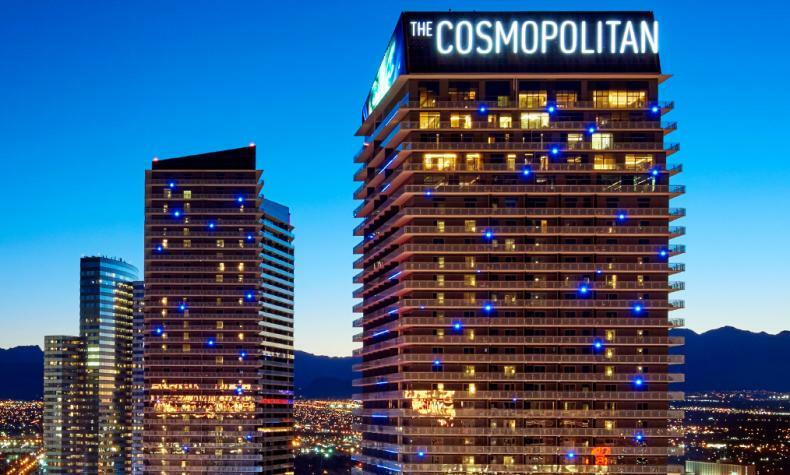 In the heart of the Vegas Strip, The Cosmopolitan of Las Vegas is a luxury resort like no other. Residential-styled living spaces w/private terraces offer breathtaking views of the Vegas skyline. A unique restaurant collection features world-class chefs, including Zuma, modern Japanese; and Blue Ribbon, true American cuisine. Stylish design and art engage sensibilities, while a vibrant nightlife scene captivates perceptions. The Marquee Nightclub & Dayclub redefines a luxury resort experience.